Section 3 - How Do You Hear? 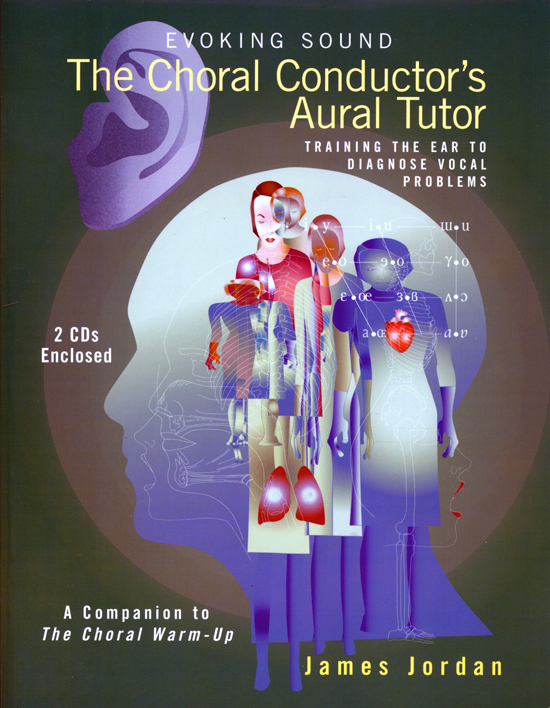 In The Choral Conductor's Aural Tutor, James Jordan leads directors on a quest for aural mastery of vocal technique "error" detection through a program of guided listening using recorded examples from both a high school and a college choir. The included pretests and posttests encourage forward progress by testing the conductor's ability to hear and label problems, including too little head tone, off-the-breath singing, jowly placement, sluggish vowel movement, and more. The Core Vocal Exercises on the two CDs demonstrate good ensemble sound by showing both correct and incorrect examples-we learn what a desirable sound is by hearing what it is not. This book and two-CD resource, rooted in the principles of The Choral Warm-Up, is an essential resource for conductors of all experience levels, regardless of what age group they teach.